Golfers can be divided into two types. There are those who really, really like to understand and follow the official Rules of Golf, and there are those who don’t feel that urge nearly as intently. For those in the first category, the United States Golf Association just announced the perfect thing to do in the offseason, now that it approaches. Co-sponsored with the Professional Golf Association (PGA), the long-running organization is holding another series of multiple-day Rules of Golf Workshops, beginning in early January 2014. Both the 2-day sessions and 3-1/2 day sessions are led by a pair of instructors. One is affiliated with the USGA, and the other is affiliated with the PGA. The two-day workshops cover the basics, including an overview of the 34 Rules, how the Decisions on the Rules are arranged, and a glossary of the Terms used in the Rules. The organizers will focus on fundamentals such as match and stroke play differences, common relief situations under the Rules, and playing the course as the players find it. Those attending the 2-day session also receive copies of the same publications and the online access, for their $150 fee. Online registration began Oct. 22, and phone-in registration begins Oct. 28. The twenty-one sessions are spread out across the country, and from Jan. 3 through April 1. 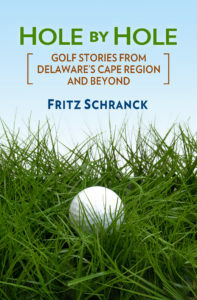 This year the closest sessions to the Cape Region are at Charleston, WV and the USGA’s headquarters in Far Hills, NJ. The folks who attend these Rules workshops take the game seriously. Many end up serving on Competition Committees at their local clubs. They also serve a valuable volunteer role for the more serious amateur and occasionally professional tournaments, such as the US Open and the US Women’s Open. Good for them–and for us. For many Cape Region golfers, the fall is when their golf swings and games are at their peak of performance. They have had all spring and summer to “dial in” their usual distances for each club, and perhaps have identified some unmet needs to fill in the distance gaps that may have appeared during the season. For those golfers, I suggest a visit to their favorite PGA professional, their golf club’s pro shop, or golf equipment outlets such as Ruddo’s on Route 1, near Midway. Working with the professional staff, golfers can take advantage of their current skills to find the right clubs to address their needs, be it a new wedge, a fairway wood or hybrid, or even a new driver. The shop owners and pros will be glad to receive your patronage. In addition, you might see some end-of-season bargains to whet your appetite. It is true that the golf club makers tend to come out with the new models as spring arrives. On the other hand, few golfers can really appreciate how a new club can meet their needs, when their game still has a lot of wintertime rust sticking to it.